Find The Right Plumber Without Going Round The Bend! Its winter, freezing cold and a bad time time of year for the boiler to break down or worst still you have burst pipes. There’s water pouring everywhere and you go into panic mode! Firstly turn off the water via your main stop tap, this usually found in the kitchen. This scenario is not the end of the world if you have a trusted plumber you can call out. But what if you don’t? Burst Pipes Or Leaks In The Home Are Every Homeowners Worst Nightmare. The absolute worst thing that you can do is grab the phone book or go online and pick a plumber at random or the first one that answers your call. 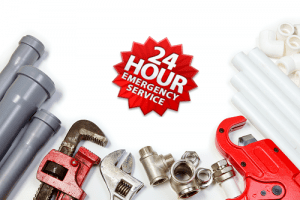 Emergency plumbing can be a license to print money; we are certainly not saying all emergency plumbers are out to rip you off. Just be aware that there are some out there that are not properly qualified or are professionals’ at eking the job out to maximise their charges. The best advice is to use a tradesman that comes highly recommend by family, friends or even work colleagues. You could even ask another professional such as your favourite electrician or painter/decorator who they would recommend. What Is Classed As A Plumbing Emergency? 1) Your water pressure is unusually low – A seemingly random drop in water pressure could be a sign of a much bigger issue. 2) You notice a bad smell – If your drain or the area around it starts to smell bad, this is probably a sign that you need emergency plumbing. 3) Toilet not flushing – There are obviously some problems that a plunger can fix. But if your toilet won’t flush for another, unclear reason, it’s time to call a plumber. 4) Slow drainage – Sometimes, minor clogs of hair and debris can be fixed at home. However, don’t ignore slow drainage that doesn’t clear up. This can be an early sign of a larger plumbing issue. If it goes on too long, you might find yourself with a burst pipe. Or your drain could stop working altogether and even overflow. 5) Water stains – If this appears on your walls or ceiling, you need to call an emergency plumber right away. Of course, sometimes it’s just an issue of a sink that was left on and it has overflowed. But if there’s no clear reason for excessive water that shouldn’t be there, call a plumber. 6) You should also call a plumber if you suddenly receive a higher than normal water bill. The Chartered Institute Of Plumbing and Heating Engineering for a CIPHE qualified engineer. Visit the website of The Association Of Plumbing & Heating Contractors for a APHC qualified engineer. Find plumbers and heating engineers that comply with building regulations and water regulations. Use the postcode search on the Trading Standards website. Check A Trade: This is a free service listing site where customers can leave reviews. Trustmark: This site will help you find local tradesmen who operate to Government Endorsed Standards. Ask how much the call out charge is and what the charges are per hour for their services. Also make sure you ask plenty of questions about what needs to be done, prices regarding materials and how long it will take. Get more than one quote for the work if you can wait, but it is not always easy when it is an emergency! Read on line reviews and check the traders Facebook page and Twitter for any bad feed back. Be wary of a plumber who quotes you over the telephone, most reputable plumbers prefer to see what is involved before starting a job so they can get the pricing right! Remember – Always Hire A Professional Plumber! We hope this blog has helped you, please feel free to leave us a comment regarding your experiences!